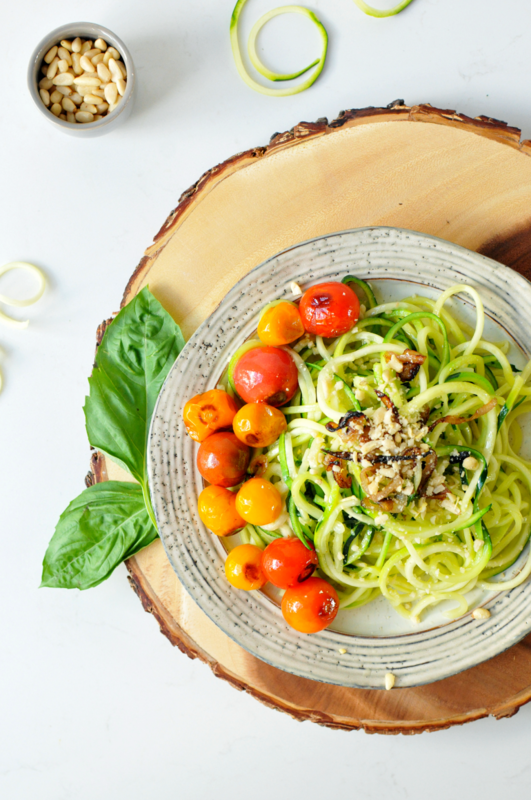 These "buttered" zoodles with roasted heirloom tomatoes are the perfect way to celebrate the end of summer. 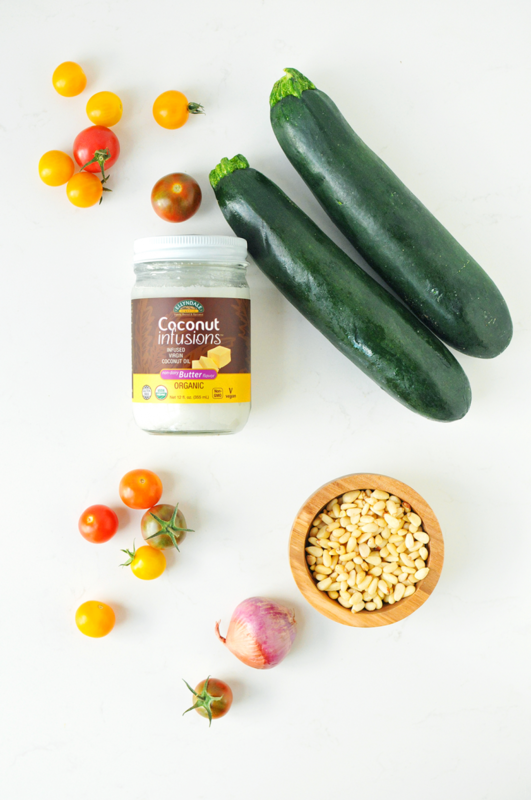 They are completely dairy-free thanks to Now Foods' delicious butter-flavored coconut oil and the crushed pine nuts on top instead of parmesan! I have mixed feelings about the end of summer. * Excitement for the new school year and getting back into more of a routine. * A little sadness that I didn't quite squeeze everything into summer that I'd hoped to. But thankful for all the fun and adventures we DID have. * Excitement for autumn's arrival, but not so excited for the snow I know is coming. * Sadness that the plethora of watermlon and zucchini are coming to an end. But thankful for fall veggies and apple cider... and pumpkin. So while our gardens (and grocery stores) are still overflowing with zucchini and heirloom tomatoes, I have one last summery recipe to celebrate their wonderfulness. And my absolute favorite way to enjoy zucchini is in noodle form! 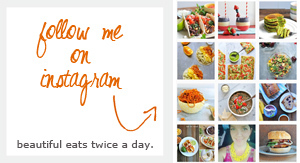 Do you have a spiralizer yet? If not, you totally need one! It turns ordinary vegetables (and even fruit) into noodles! ---> This is the one I love. I've always loved the simplicity and comfort of a bowl of buttered noodles. 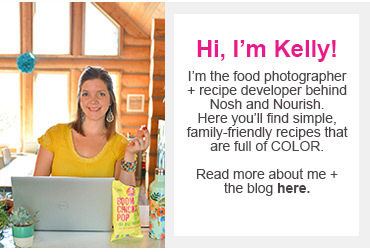 But I've superfood-i-fied (that might be my new favorite word!) them by subbing in coconut oil that happens to taste like butter! And used zoodles instead of noodles. And added heirloom cherry tomatoes, because summer. Saute them over medium heat. If it's too hot, they'll get mushy. Use tongs to stir/flip them as they cook. If not, they'll get mushy on one side. They only take 5 minutes or so. If you cook them too long, they'll get mushy. PS. They taste better when they're not mushy! I top the zoodles with "crushed" pine nuts to give the texture and appearance of parmesan cheese. They have a mild flavor that goes nicely with the tomatoes. I'm ready for a bite... or ten! How about you?! What are you most looking forward to for fall? *to crush the pine nuts, put them in a small ziploc bag. Then use the flat side of a meat tenderizer or the back of a spoon to crush them finely. 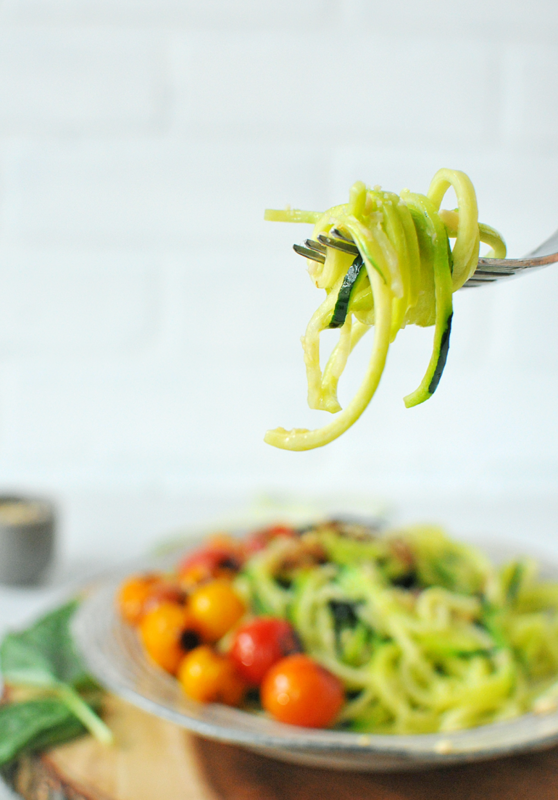 *if you are totally new to zoodles, you can use half zucchini noodles, half regular noodles to ease yourself into it! 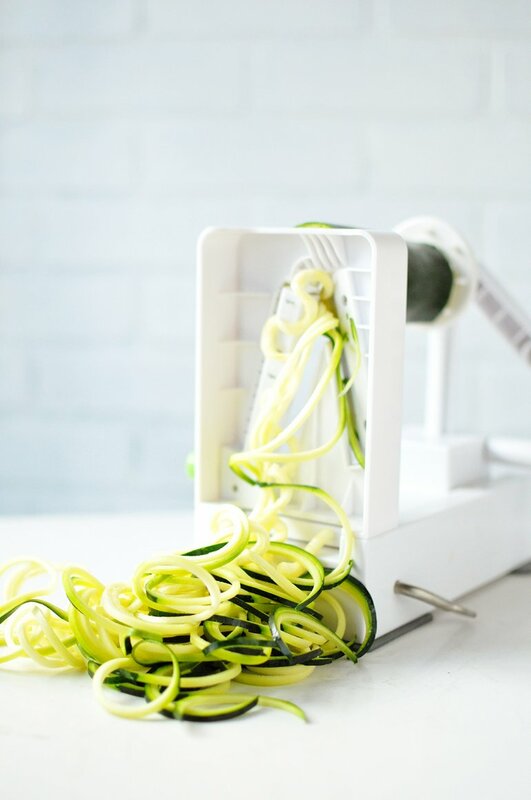 Use a spiralizer or julienne peeler to turn your zucchini into noodles. Set aside. Over medium heat, saute your cherry tomatoes, garlic, and diced shallot in the garlic flavored coconut oil (or olive oil). Stir so that the tomatoes cook on all sides, approximately 4 minutes. Remove from heat and set aside. In a large skillet over medium heat, melt your butter flavored coconut oil. Then add in the zoodles (zucchini noodles). Cook for 5 minutes or less, stirring frequently so that they cook evenly. You want them to be slightly softened, but not mushy. Assemble your bowl: zoodles topped with a scoop of the tomatoes, garlic, and shallots. Then sprinkle on some of the crushed pine nuts.